In my opinion (and I suspect in the opinion of the masses), there is no greater snack food than potato chips. They're crunchy, they're salty, they're fried, and they're bite size; what's not to love? But I believe that, like almost all foods, potato chips can get even better. Especially if they're the most basic garden variety type of chip: sea salt. You can get interesting potato chips by buying unique flavors (I recommend Kettle Brand), but I prefer to soup up the plain version. 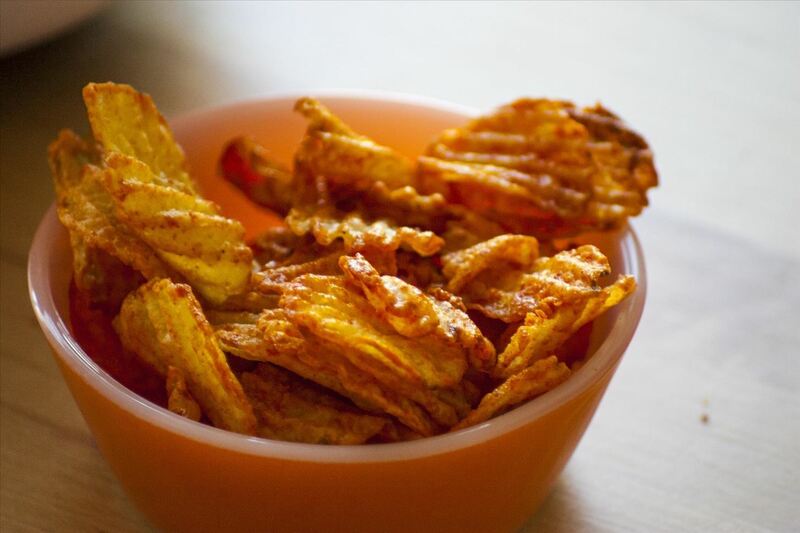 With just a few pantry ingredients, you can turn a bag of simple sea salt potato chips into an awesome and unique treat. So next time you find a bag of plain chips in your hands, and you want to make them taste even better, try one of these five modifications. Let's start with the most gourmet option, because what's classier than nice Italian food? Mix your chips with some olive oil until they're lightly coated, then grate Parmesan cheese on top and add some black pepper. Instant gourmet potato chips! If you want to take this version even further, you can add garlic, chili flakes, and fresh parsley. When I worked in a restaurant, the other line cooks and I had Tapatio chips every day. 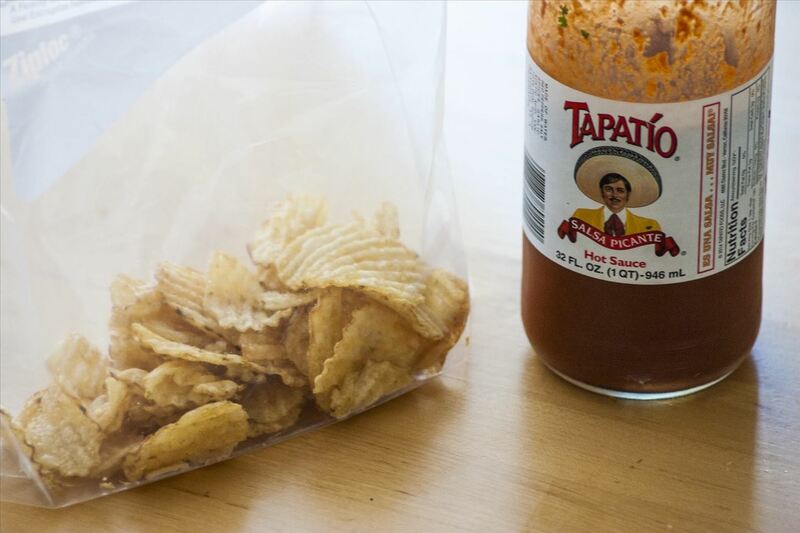 Start by placing some sea salt chips in a ziplock bag (or just use the chip bag), and add a generous glug of Tapatio. Then shake the bag up until the chips are sufficiently coated. They'll get just a tiny bit soggy, which makes them that much better. Of course, you don't have to use Tapatio; you can use any other hot sauce (wing sauce works great!). 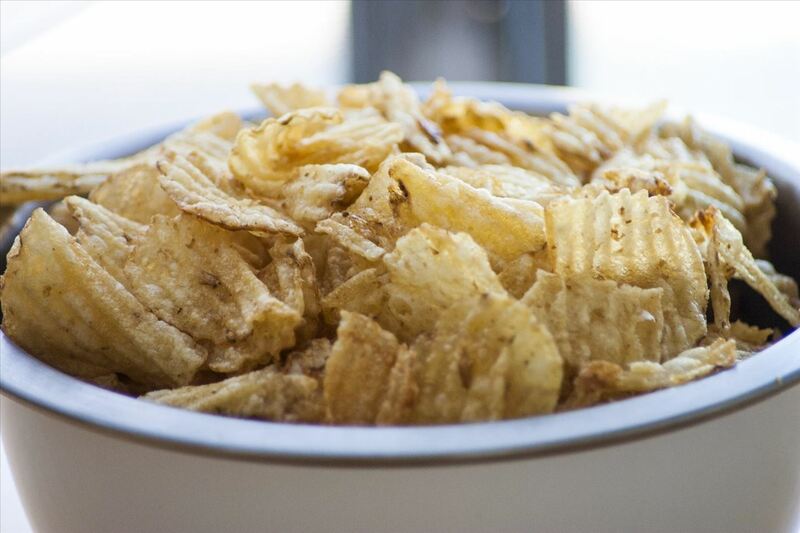 One of my favorite things to do with plain potato chips is simply add more seasonings. 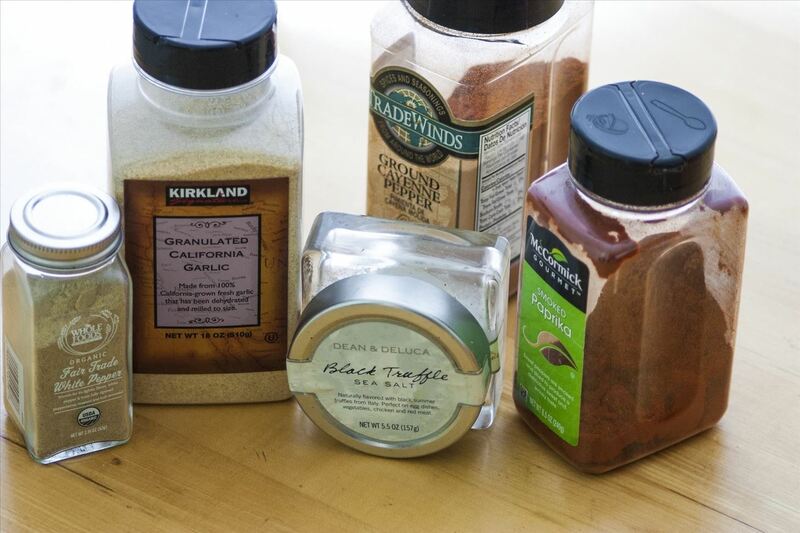 Raid your pantry and find the seasonings you like best (I'm particularly fond of garlic powder and cayenne pepper). Pile them onto your chips, and give them a good mix, and you'll immediately have chips that are bursting with flavor. You'll probably want to add extra salt as well, to balance out the new seasonings. 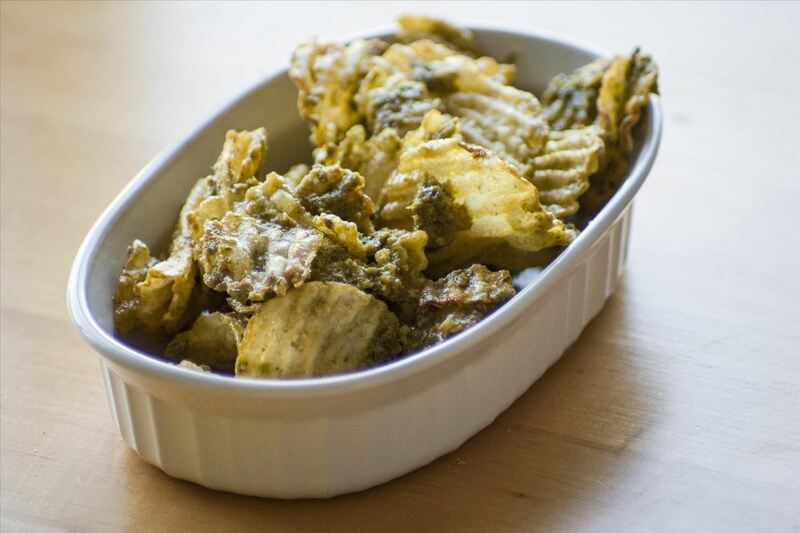 Mix your chips with pesto for an incredibly quick way to transform the chips. If the pesto is too thick, add some olive oil to help cut it. It only takes a few seconds to make pesto potato chips, but they're as good as breadsticks dipped in pesto. 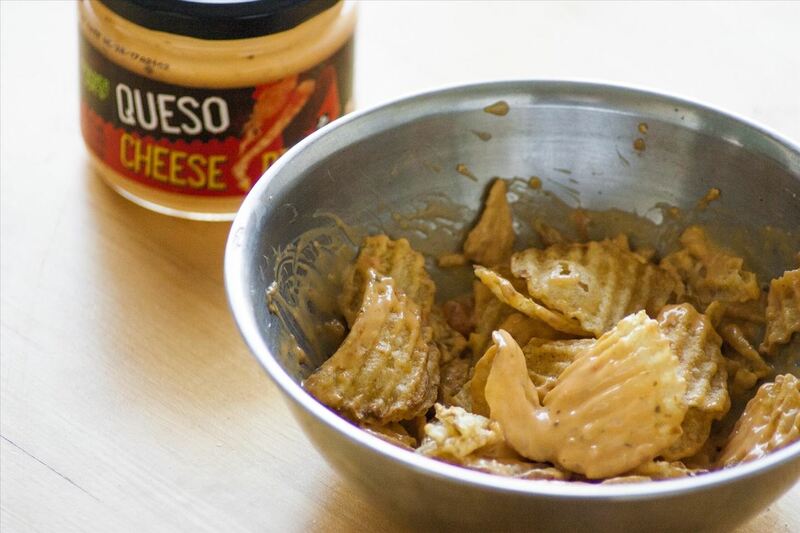 Most people buy cheese dip to dip their potato chips in. I like to take it a step further: why not just coat the chips in the dip? That saves you the hassle of dipping the chips later, and evenly spreads the dip across the chips. Trust me: it's much better than just dipping. 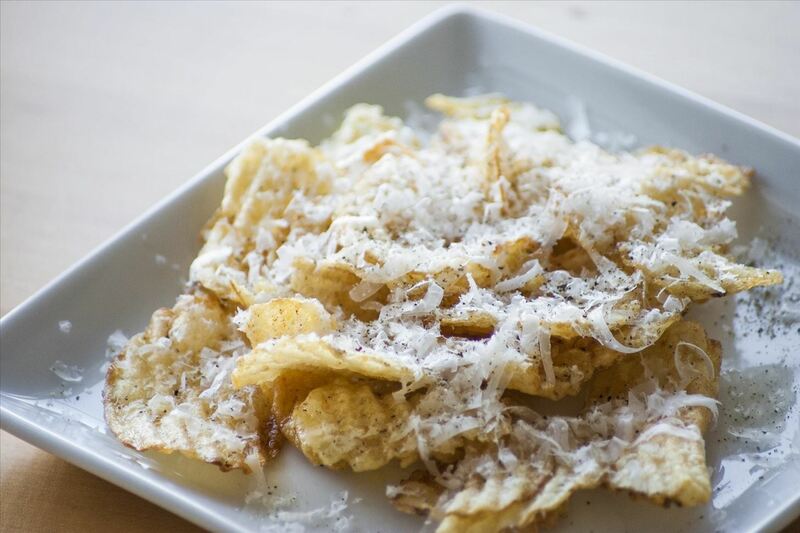 Do you have any great additions to transform plain sea salt potato chips?